Nebraska Dalmatian Rescue View other Dalmatians for adoption. A scared puppy in a NM shelter caught our eye. We named her Josey and she is now in Colorado wowing everyone who meets her. She is a bundle of energy who wants to learn, play, and please her people. She is smart as a whip, fast as lightening, and cuter than a button, says her foster mom, Head of the Josey fan club! 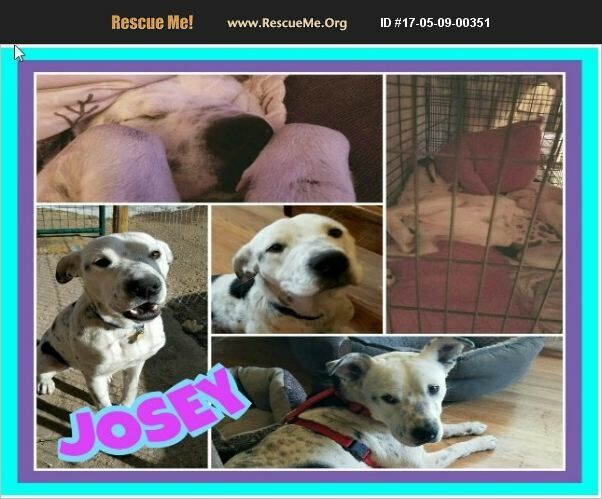 Josey knows a myriad of commands and is housebroken, good with the other dogs and is fine with cats. She rides well in the car too. Her forever home needs to have a dog buddy as Josey is a playing fool! She will alert to sounds, but will quiet when asked to. She is totally housebroken and when crated (as all young dogs usually need to be) when people are gone she is an awesome house guest. Her foster home is North Platte NE. For more information, contact Jan at dancingspots@yahoo.com. Adoption $250.